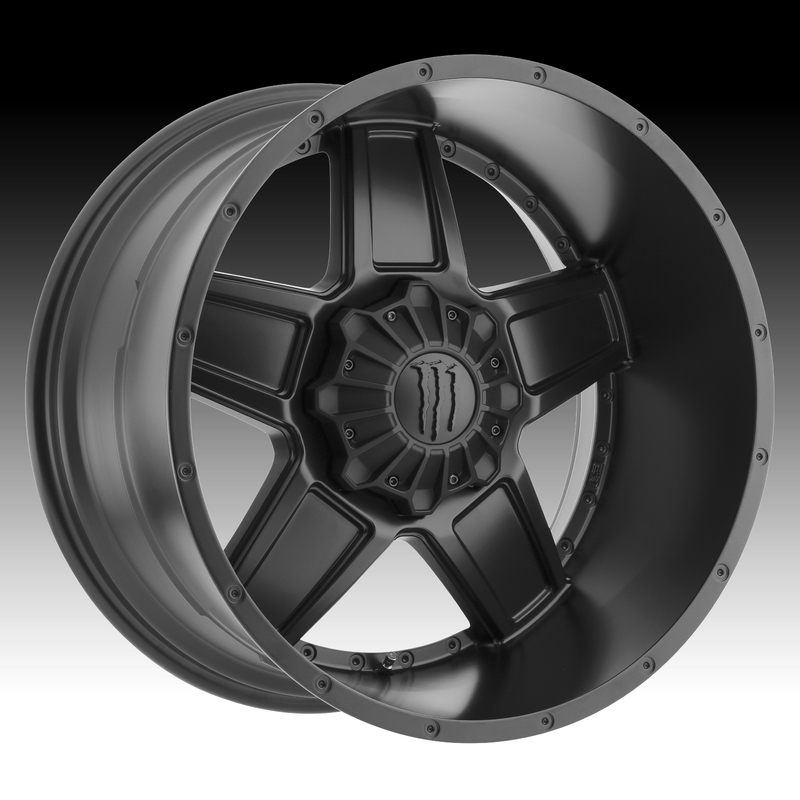 The TIS Monster Energy Edition 543B black wheel is available in 18x10, 20x9, 20x12 and 22x12 sizes. 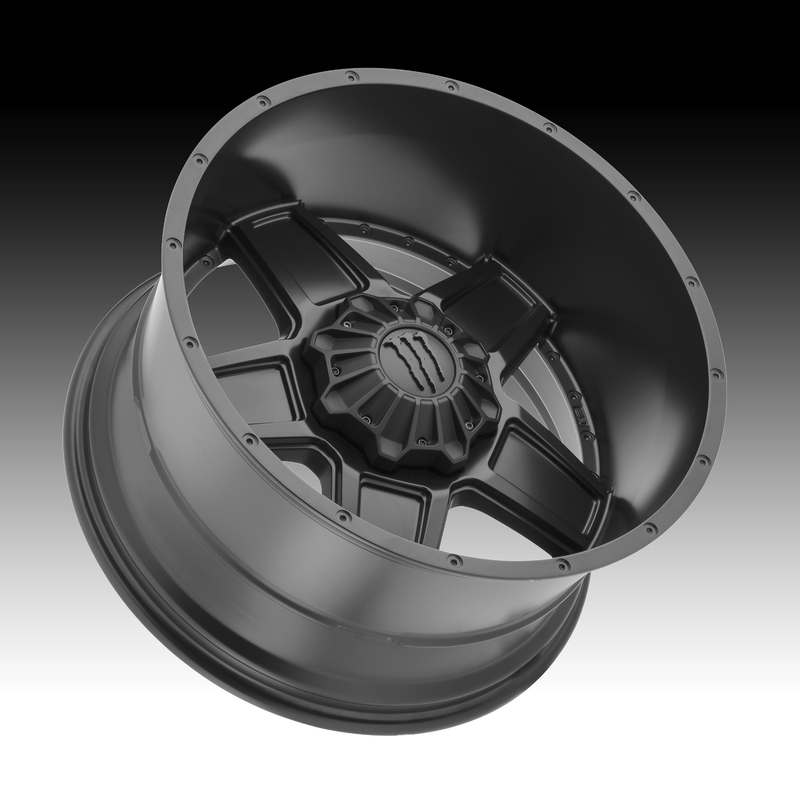 The 543B is available for most trucks, Jeeps & SUV's. This Monster Energy Edition wheel is available for a limited time only! Standard, aggressive and lifted truck applications are available. Free shipping on Monster Energy 543B wheels. Free lugs and locks included with the purchase of a set of 4 Monster Energy 543B Monster Energy Edition wheels. Currently out of stock. More may be available soon, call for an ETA. Only have 3 singles available. More may be available soon, call for an ETA. A few sets left, order soon! The price is per wheel or tire. The rims are brand new. A Locking Lugnut Install Kit* is included with the purchase of 4 wheels. Single wheels will not come with any lugs or locks. If you are buying a 5th wheel for the back of your vehicle please not that you will need to purchase an "Additional Set of Locks" from the "Accessories / Upgrades" section of the store. *Locks may not be available for some vehicles that require extra long lug nuts. *Some wheels will not accept regular lug nuts, in which case a spline lug kit will be provided. 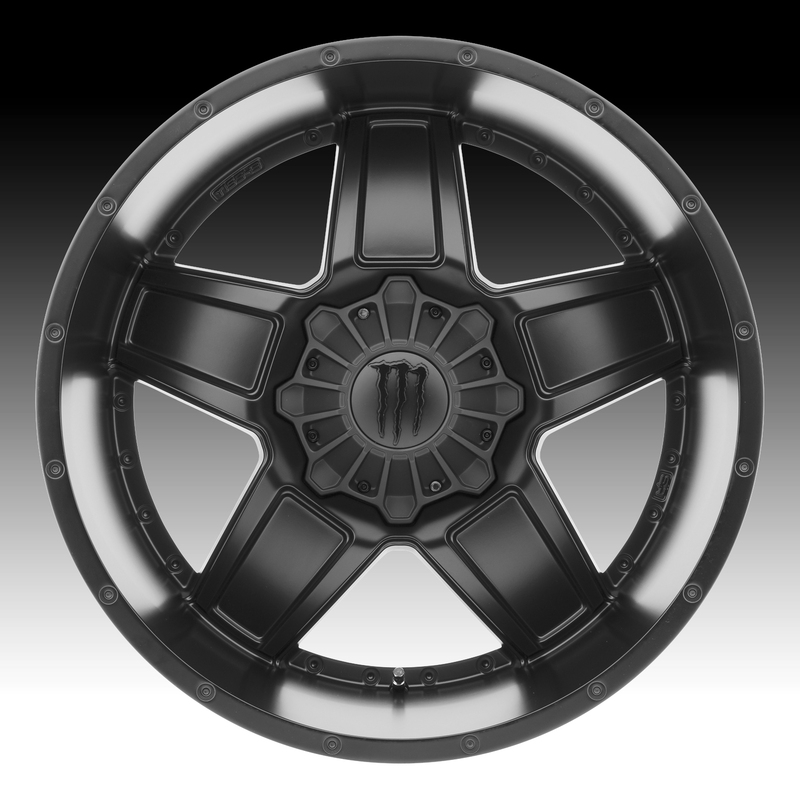 Wheel and Tire packages available for most wheels. Because of the introduction of Tire Pressure Monitoring Systems, it may be significantly cheaper to purchase everything loose and have you mount and balance at a local tire dealer where you can transfer your own TPMS sensors instead of purchasing new ones. Please call 1-800-580-9008 or email for a package quote. Not all fitments may be available. Please call 1-800-580-9008 or email sales@customwheelsexpress.com for availability inquiries. Emails are regularly checked and responded to after hours and on the weekends. If you purchase without first checking for availability and the item(s) are not available we will refund your payment. Shipping is free on all wheels to customers in the US48 states. No shipping on accessories when purchasing a set of wheels. We can ship to other countries, please contact us for a shipping quote. Adult Signature Required on all wheels. Many sets are drop shipped from other locations around the country. Most wheels ship withing 1-2 business days but there are some special cirumstances that can delay shipment up to 5 business days. These can range from address verification to vendors who do not allow us to drop ship from their facilities, in which case we have to ship them to our warehouse first before we can ship it out. If you would like a shipping ETA please call or email us. This product was added to our catalog on Friday 24 February, 2017.